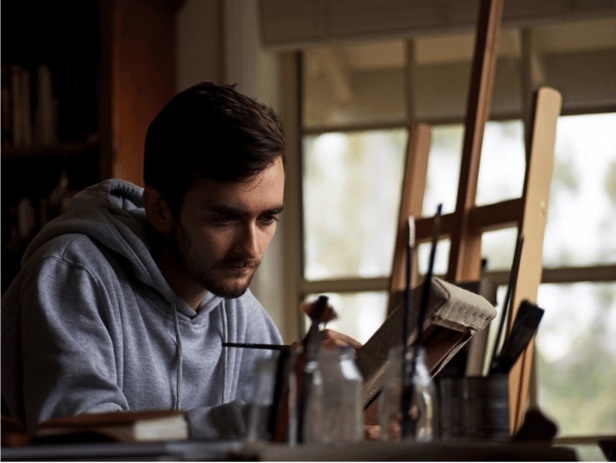 Joshua Charadia is a contemporary artist living and working in Sydney. 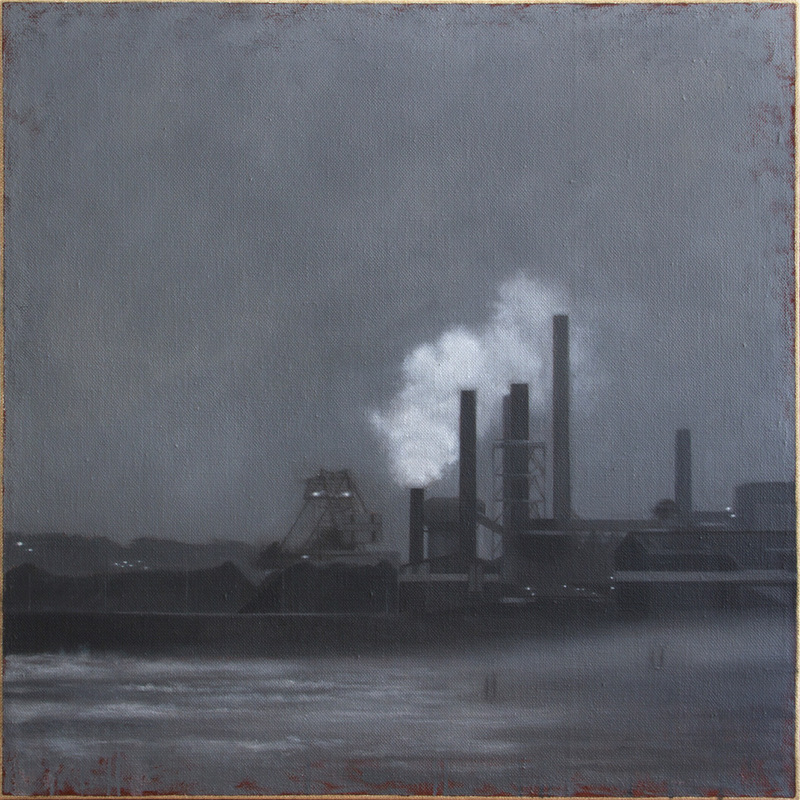 Charadia takes industrial scenes, photographed in passing, and renders them in the “slow” media of oil paint and charcoal. By affording time to these fleeting images of shipping containers and terminals, Charadia hopes to make seen what often goes unseen. In his new body of work titled 'Macabre Monuments', Charadia approaches the unyielding industrial landscape with a careful sensitivity to light and atmosphere, thereby creating a feeling of secrecy and ambiguity. 'As day gives way to the dim light of dusk, smoke pours out of towering chimneys, loaded ships leave port, and the cogs of industry continue to turn. A strange, alien beauty reveals itself as sea mist shrouds this vast industrial landscape. Now anonymous in the vernacular of our built environment, these structures serve as monuments to an optimistic past, one inspired by the technological and economic possibilities of industrialisation. In an age of growing awareness and scepticism, they are now monuments to the relentless processes of globalisation, supply and demand, construction and destruction'. In ‘Macabre Monuments’, Charadia invites the audience to question their passive perceptions of the world around us, and consider the broader economic, environmental, and social implications of these familiar but forgotten structures.